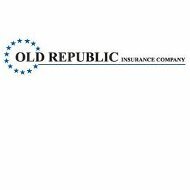 Reliable Life Insurance has been in existence since 1911. The company has gone through many mergers and name changes, but it is currently under the umbrella of Unitrin Incorporated. Reliable Health Insurance offers life, health, child accident, disability, title, and travel insurance. The company’s roots began in Canada, and it continues to meet the insurance needs of Canadians. There are three different plans under the insuremykids plan. Platinum, Gold, and the University/College Plan all provide varying degrees of benefits. If you require detailed information on these plans visit www.insuremykids.com. The three plans are similar except in dental coverage, benefit amount for dismemberment and disability, and death benefits. Plans are available for one, three, and five years. The plan information can be downloaded on the company’s website for policyholders review. Interested policyholders may enroll their children in the insuremykids plan by filing an application online by choosing the school district the child resides, listing all children under the plan with date of birth, school name, plan options, and any additional coverage you are interested in purchasing. Clients can also phone in an enrollment by calling (800) 463-KIDS or faxing the application to (866) 551-1704. Enrollment forms are available on www.insuremykids.com to be downloaded. All Reliable claim forms through the insuremykids plans are filed through the dentist or physician’s office. However, be sure and inform insuremykids within 60 days of an accident occurring so they are aware of your personal situation. Also, all claims must be filed within 90 days of the accident. Claim forms can be downloaded on the insuremykids website at www.insuremykids.com. Reliable Life Insurance offers health insurance policies, disability, and accident coverage. There is no additional information on these plans other than they cover hospitalization, accidents, and disabilities. The website does ask that any questions be directed to Reliable at (800) 465-0661 or email them at [email protected] for any additional information. Reliable Life Insurance Travel Insurance is available to individuals traveling out of the country. The policies are written under subsidiaries names, but there is no additional information regarding coverage on the company’s website. However, you can call Reliable at (800) 465-0661 or email them at [email protected] for additional information. The policies are sold through independent agents and brokers. You can find an agent or broker in your area by calling Reliable Life Insurance at (800) 465-0661 or emailing the company at [email protected]. Interested individuals can click on a career field and attach their resume to be emailed for consideration for job openings. Immediate job openings can be viewed on the website with a full description of the position, and job qualification. Interested individuals can either submit their resume to [email protected] or mail resumes to Reliable Life Insurance Company to the attention of the human resource department. Resumes may also be faxed to (866) 551-9494. Be sure and list the position or positions you are interested in applying for so that Reliable Life Insurance can contact candidates for job interviews. Prospective employees can contact human resources directly by calling (800) 465-0661. Reliable Life Insurance believes in providing customer service to its policyholders. First, if you should have a complaint regarding Reliable Life Insurance, the company explains the complaint procedure on the website. The company encourages policyholders to go through a plan of action with the appropriate individuals before sending in a written complaint. The insuremykids department of Reliable Life Insurance provides an online feedback form for policyholders to complete and submit for review. They recommend you looking at the frequently asked section of the website, but they welcome any comments, questions, or concerns. Find health insurance companies and receive quotes from active providers by typing your zip code into the free rates tool now!